This is a professional archival print of my original scripture art, featuring a verse from the book of 1 Peter 1:4. 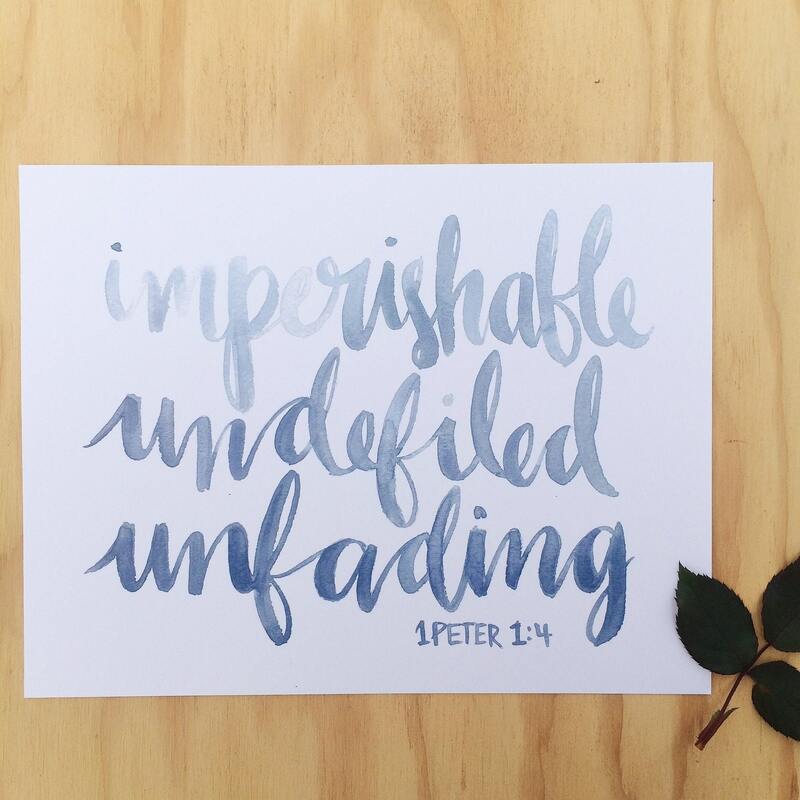 Peter is speaking of our inheritance in Christ, an inheritance that is "imperishable, undefiled, unfading". 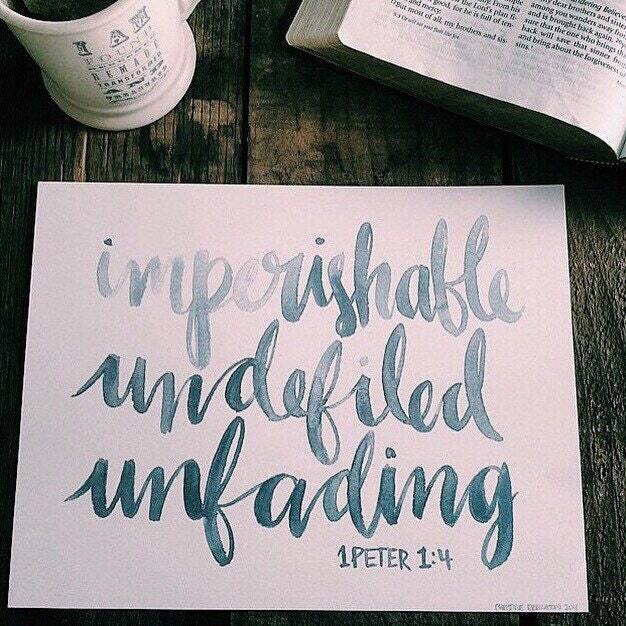 We have a hope that can never perish, spoil, or fade. I found this verse so encouraging when I read it, I instantly had to create something to share! The original was painted in a lovely blue gray gradient with watercolors using a brush script calligraphy technique. As with all of my scripture work, this is a spirit led creation, a message from God's heart to ours, and I pray that it would be an encouragement to you in your walk! It would make a fabulous gift for any Christian this holiday season!